Happy New Year! Our first review of 2013 was very exciting as we approached it… a long lost recipe of a popular hot sauce that ceased production. Sounds exciting, right? 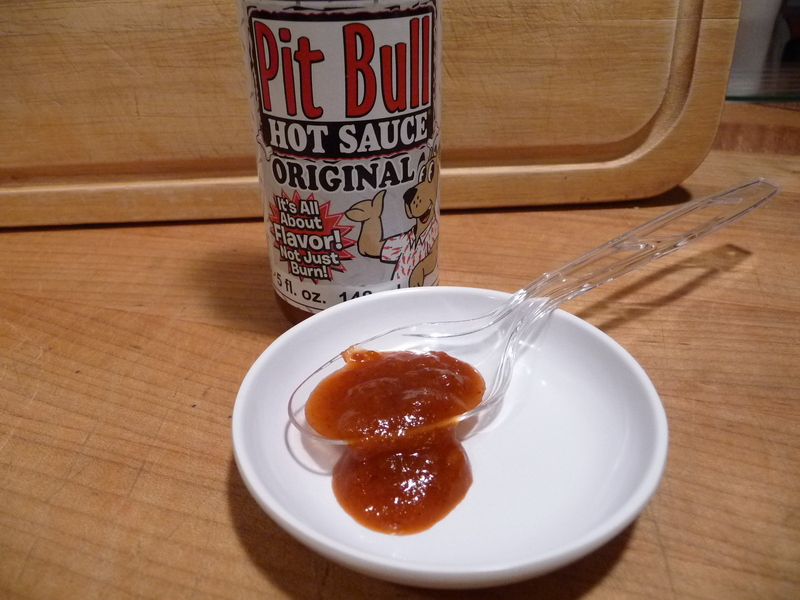 Get Bitten By Pitbull Hot Sauce!!! It’s all about Flavor…and not just burn! It starts out sweet…and then…Bites Back Hot. This popular Long Island, NY hot sauce has been out of production for the past 4 or 5 years, and was so popular in that area, that Heartbreaking Dawn’s has managed to get the original recipe and labels back into production. Their motto was “It’s All About Flavor! Not Just Burn!”. Let’s see if it’s all that. Sure enough the ingredients have not changed from the original. Nor has the label. What makes this Long Island sauce so special? First off let’s not beat around the bush. This is a sriracha style hot sauce in disguise. The chili peppers, sugar and garlic give it away. 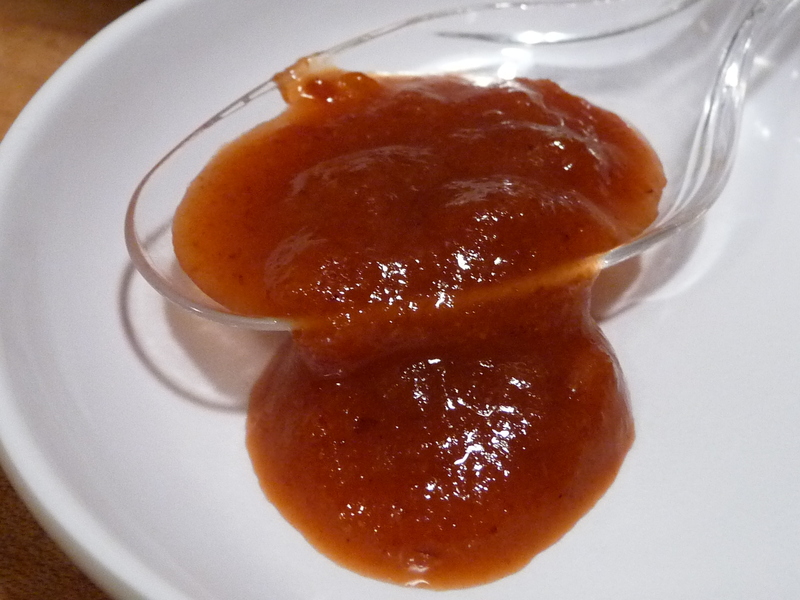 And it is a nice, American made sriracha style sauce that is true to its roots… chiles, sugar and lots of garlic. Now we LOVE sriracha sauce here at HotSauceDaily.com… and it’s always fun to discover new ones. But we don’t like it when sauces ‘pretend’ to be something they are not. And in this case, Pit Bull should just say on the label something about it’s base flavor of sriracha or something alluding to that fact. While the sauce really is big on flavor, not just heat, it’s a pedestrian sriracha flavor. Fine, if it’s the only sriracha style sauce you can get your hands on. But we were so disappointed. With a name like Pit Bull, we were expecting something a bit more aggressive in flavor and pepper profile. Turns out it’s just a fairly decent sriracha style sauce… I would go so far as to say they built the sauce on an established sriracha sauce (roosters may have been involved), and cranked this out as an original. A Long Island favorite? Perhaps it was cutting edge back when it launched, and locals do love their local hot sauces. Heat Level: – A bit on the warmer mild side of heat. Good for the casual sauce user or lover. Overall Flavor: – not bad for what it is – a Sriracha style sauce made in America. Overall Rating: – for misdirection. Pit Bull to us says “danger, beware!” – in reality, it’s tame. 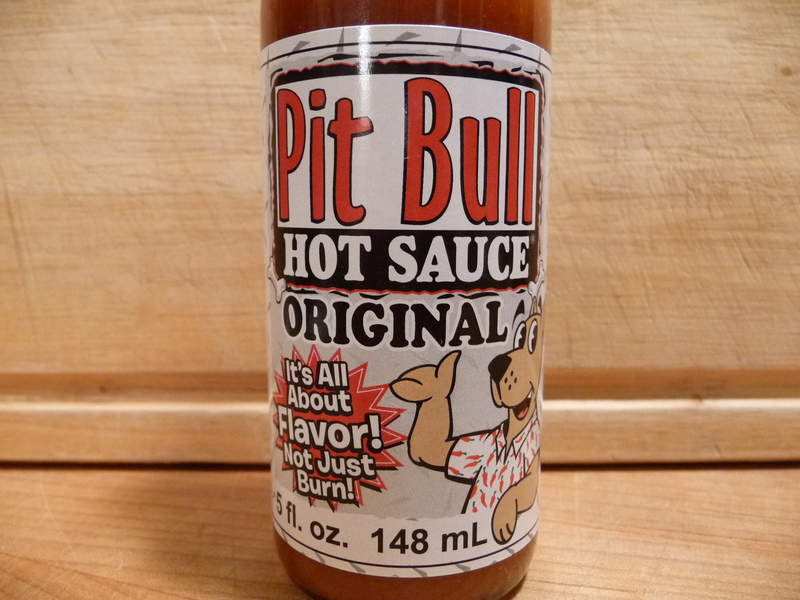 If you want to own a part of hot sauce history, Pit Bull is available from Heartbreaking Dawns here. In most likelihood this sauce WAS “spicy” to those consumers 6 or more years ago if it has not been around the past 5 years. Heat levels have increased dramatically since the bhut jolokia was finally authenticated as actually existing and then being available (similar to the Red Savina many many years ago when compared to ordinary red, yellow, and orange habanero varieties and Scot’s bonnets). A fair summary and opinion-I am sure that others will have their own opinions. 100 consumers=100 opinions. Thank you my Aztec friend, you make a good point about heat levels 6 – 10 years ago not being nearly as spicy as things are today. I’ve amended the post to reflect the heat level (which I embarrassingly left out). And I’m sure the locals of LI at the time were very proud of their local hot sauce, and missed it during it’s absence.